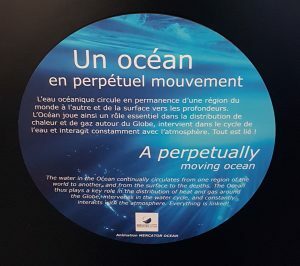 Mercator Ocean International is an exhibitor at the Centre National de la Mer, in Boulogne-sur-Mer, in the largest aquarium in Europe. NAUSICAÁ aims to help visitors discover and appreciate the sea by showing them the link between humans and the ocean; NAUSICAÁ proposes to make its visitors aware of the need for better management of the oceans and their resources and thus encourage action by creating a community of “Citizens of the Ocean”. The NAUSICAÁ exhibition area was expanded to 30,000m² in May 2018 to accommodate 1 million visitors per year. This extraordinary extension has been open to the public since May 19, 2018. 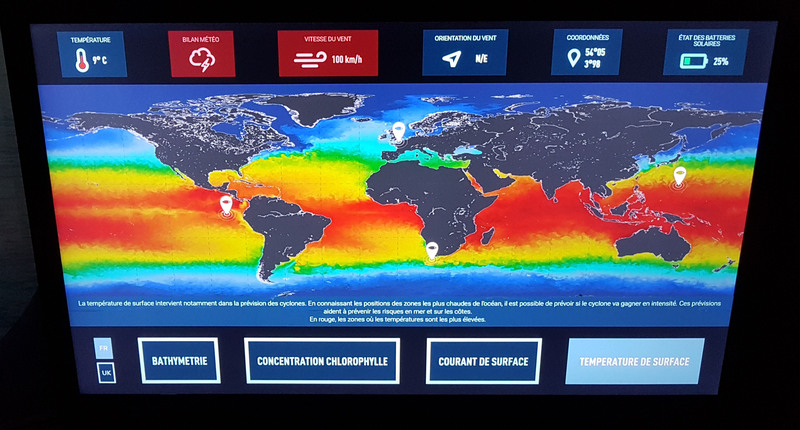 Mercator Ocean International has participated in the creation of two exhibits in the “HIGH SEAS AREA” circuit, providing an animated display on ocean circulation at the global level and also maps for the interactive bridge of an oceanographic research vessel. 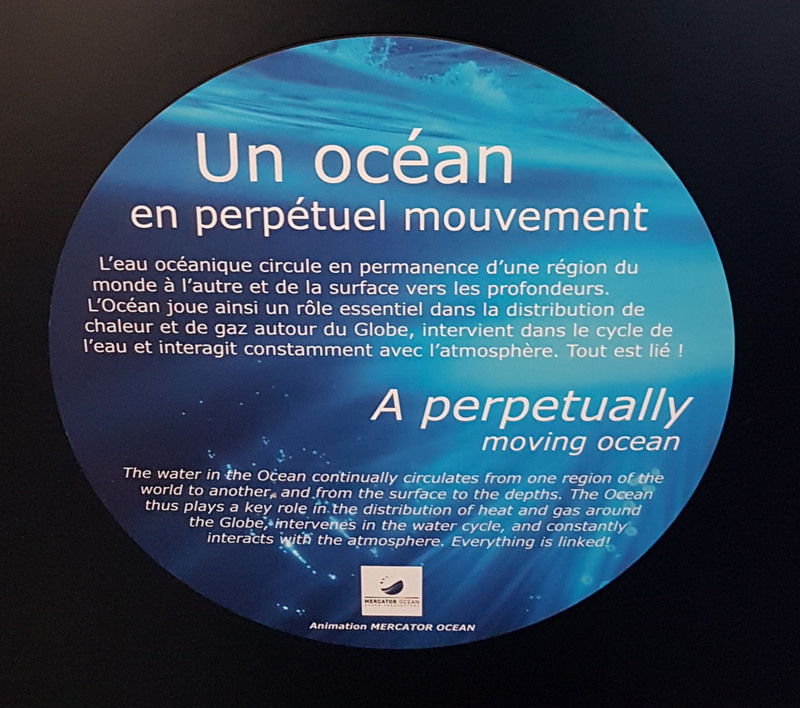 This space is designed to teach visitors about issues related to the high seas (ocean circulation, pelagic life, ocean abysses, genetic and mineral resources, activities in areas beyond national jurisdictions, governance, etc.). The maps provided concern five very distinct geographical areas, and were generated by applying Mercator Ocean’s expertise to data from the European Copernicus Marine Service (CMEMS).